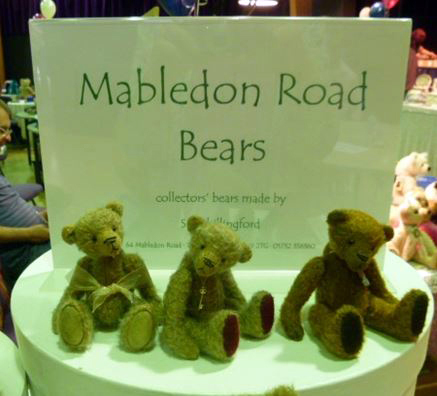 Mabledon Road Bears are the creation of Sue Shillingford a talented bear artist based in the UK. 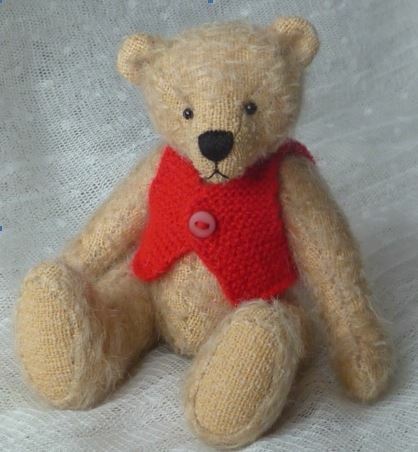 Sue is a member of The Guild of Master Bear crafters and as you will see her bears are absolutely fantastic and I just had to feature her here on the site. The following is an Introduction to Sue and her bears, I hope you enjoy the Mabledon Road Bears as much as I do. I understand that you have been making bears since 1997. What first got you into bear making? I have always liked teddy bears and I still have my childhood bear. 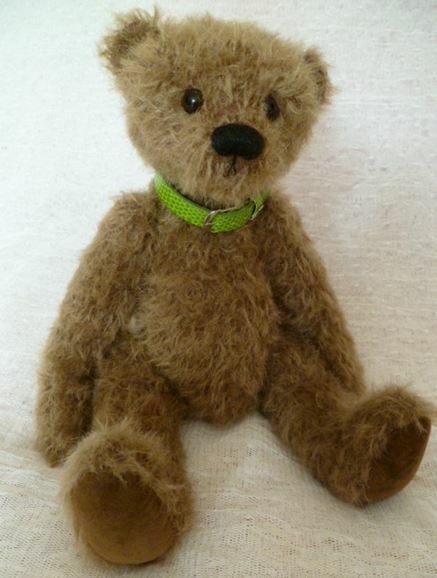 He was bought for me just before I was born and has always been known as "Ted". Very original! 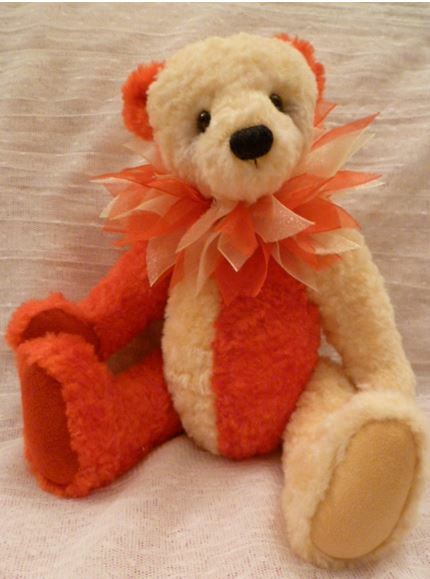 I've also got quite a big collection of Peter Fagin Colour Box bears (and cats), although sadly they are no longer made. I have liked sewing and knitting for as long as I can remember and used to design and make outfits for my Sindy doll. Then later made clothes, soft toys, rag dolls and doll's clothes for my own children, and now for my grandchildren! So making bears had to come didn't it? 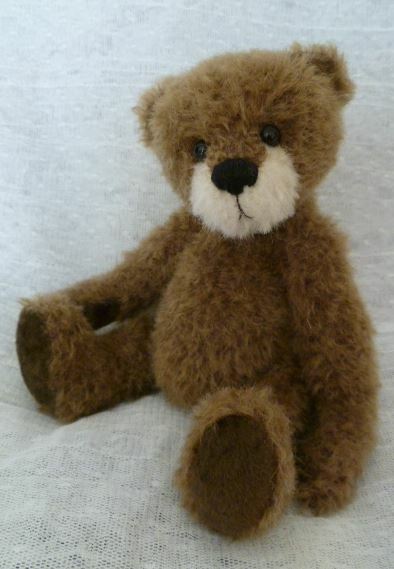 I made my first bear in 1997 when I came across a bear pattern in a magazine - I was supposed to be sitting with my feet up after a leg operation! Any way the bear looked so sweet posing in her floral dress and I thought I'd like to have a go. I had only used safety joints and eyes before and had never heard of cotter pin joints that the pattern suggested, so I bought the latest teddy bear magazine and read it from cover to cover! It contained an advert for a Teddy Bear fair to be held in a couple of weeks at the Dockyard in Chatham and as this was near where we live I dragged my husband along!! Wow - all those teddies, all that mohair. That was it - I was hooked!!! 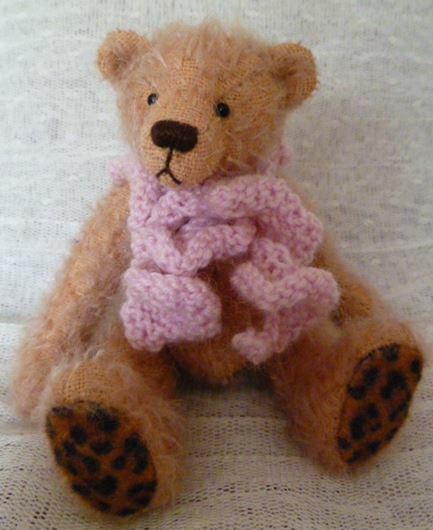 My first bear was made from sparse pink mohair and after that there was no stopping me, even though that first attempt had very loose joints and a wonky nose! Then after a while, I suppose like all bear makers, I thought I could improve the look of my bears by making longer arms,shorter legs, bigger feet, smaller ears etc etc, and so I started to design my own patterns. I now create bears, pandas, dogs and the occasional cat or other little animal ranging in size from 4" -10". I attend about 6 shows a year including the Hugglets fairs in Kensington, London, The Teddy Bear Artist Event in Stratford - Upon - Avon and the Great Yorkshire Teddy Bear Events in Sheffield and new for this Christmas - The Great Brighton Teddy Bear Event. 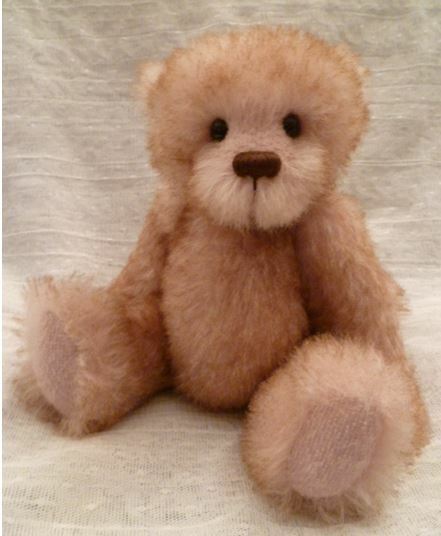 Mabledon Road bears come in various sizes and styles, what would say were the inspiration for each of your bears? sometimes the finish or colour of a piece of mohair will inspire an idea for a particular bear and at other times I may have a picture of a bear in my mind and then have to search for the right fabric! Sometimes the name comes first - I could see a name on the side of a lorry or on TV and that can trigger an idea. Often whilst finishing one bear, I already have an idea of for the next one and can't wait to get started on it! Occasionally though I just look at my pile of mohair waiting for inspiration..... and don't get any!! On those days I go for a potter around the garden instead! I am always fascinated in the process bear artists go through to make each bear, some have formal working spaces while others like to stitch whilst watching TV. Tell us about your bear making process? I do have a workroom although I do most of my bear making in the evenings on the sofa in front of the TV. I like to sit in comfort!! As I mainly make small bears, I find it easier to work using a flat tray on my lap and find I can't get comfortable and seem to be always at the wrong height sitting a a table. I draw out my patterns, trim the seams and tack the pieces together ready to be machined. The only drawback to doing all the cutting out on the sofa is the mohair fluff that gets everywhere! Thank goodness someone invented the vacuum cleaner!! What is your favourite and least favourite part of making your bears and why? I have lots of favourite parts of bear making and I can't quite manage to narrow it down to just one! I love selecting new pieces of mohair from the fabulous selections that the suppliers have now and I like the process of actually creating the bears and wondering if they will end up looking as I have imagined or completely different. And I really enjoy attending the fairs and shows. I love all the hustle and bustle, meeting up with fellow bear artists again, seeing their latest creations and catching up with everyone's news. I also enjoy meeting all the bear collectors - old and new - at the shows hoping to add a new bear or maybe two to their hugs! I suppose my least favourite part of bear making would be embroidering noses! Sometimes when I start sewing I'm still not sure what shape the nose will end up being. Occasionally I end up cutting through the threads of a bears nose, pulling the whole lot out and starting again because I didn't like the finished look! You have won several awards for your Mabledon Road Bears over the years. If you could choose just one bear which either won or not which holds a special place in your heart and why? 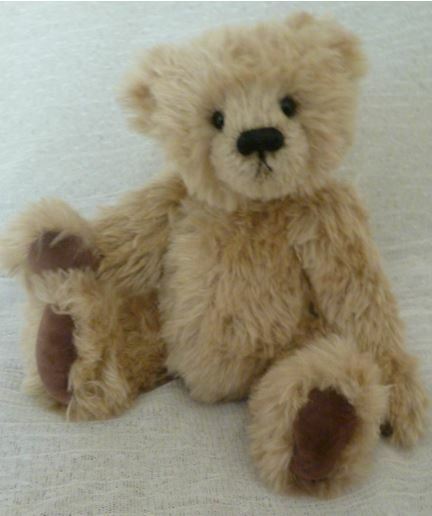 My very special bear is "Ted" as he's been with me all my life - and he knows all my secrets so he has to stay special! I am very pleased with the newly designed little dogs that I have recently introduced. I entered two into the artist's competition at The Teddy Bear Artist Event in Stratford -Upon - Avon earlier this summer and they won first prize in the "Not a Bear" category! 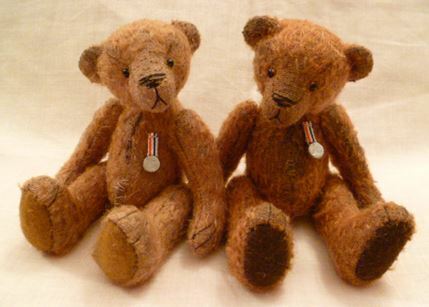 So much work goes into making your Mabledon Road bears both in time, skill and love, do you ever find it hard to let them go when they are adopted? I don't really find it hard to let my bears go - well most of the time anyway! I usually have a little time with them before they have to go to the next show, as once they are completed they all sit in a row along the cupboard top awaiting their name labels. I love to see people's faces when a bear calls to them and they have to keep coming back for another look or cuddle or both! I know then that that bear was meant for that person and that it will be going to a good home and will be well looked after, so it's not so hard to let it go. I still find it amazing that I can create something that appeals to other people and feel very proud and happy when my bears receive compliments! 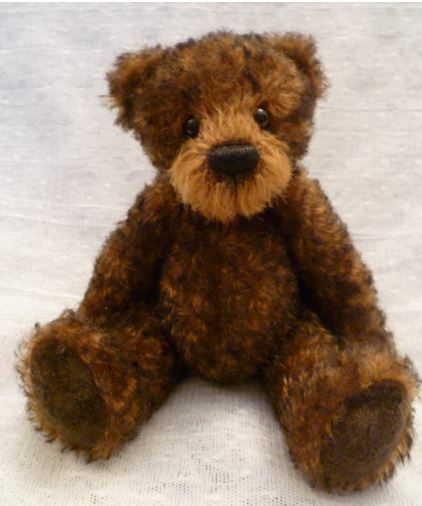 If you could give one piece of advice to someone who was first starting out in the bear making world what would it be? I think one of the most helpful bits of advice I was given when I first started out was to trim the fur from the backing fabric within the seam allowances. This is quite a time consuming job but I think it is well worth the effort as it helps the seams to lie flat and be less noticeable. It also makes it much easier to achieve a smooth, rounded finish when adding stuffing to your bear. Left untrimmed the seams will be more noticeable and can be bulky and lumpy looking with tufts of mohair poking up through the stitching. Whilst on the subject of trimming - always take it easy if you trim the fur off the bears muzzle. Trim a little at a time - you can always cut a little shorter if you need to but cannot add any back on if you cut too much off at the start!! Tip two would be to but the best scissors you can afford.I use embroidery scissors with very sharp, small pointed blades for all my bear trimming jobs.